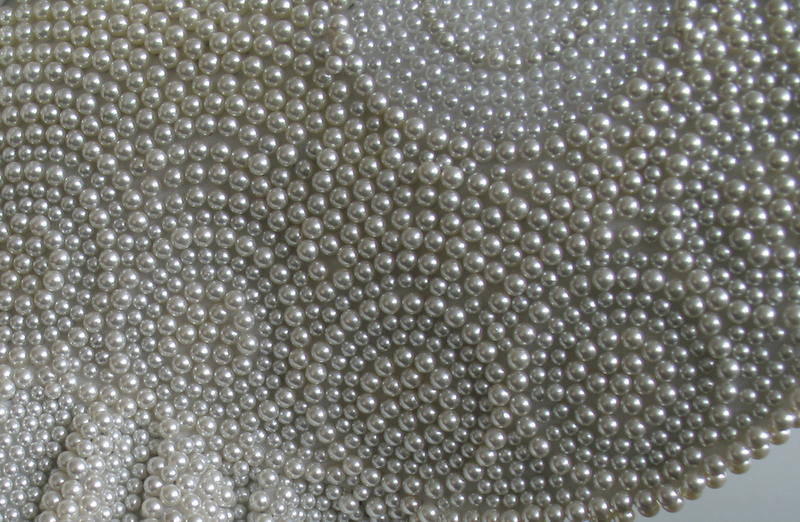 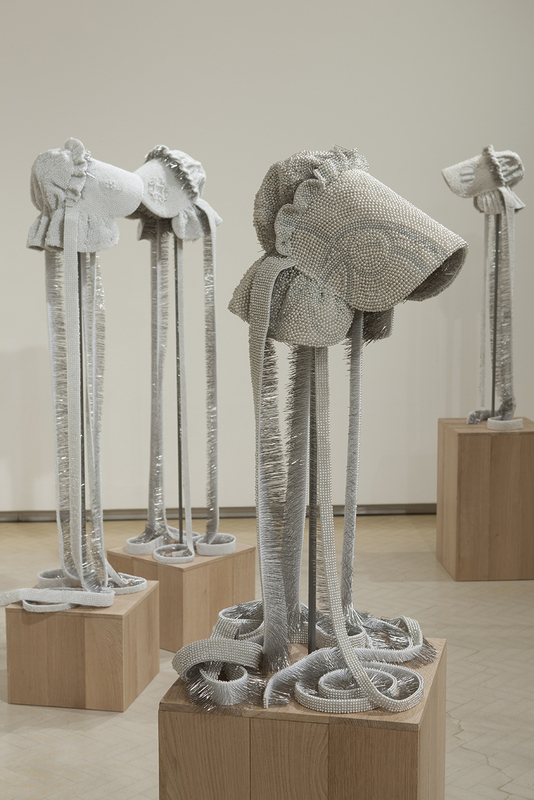 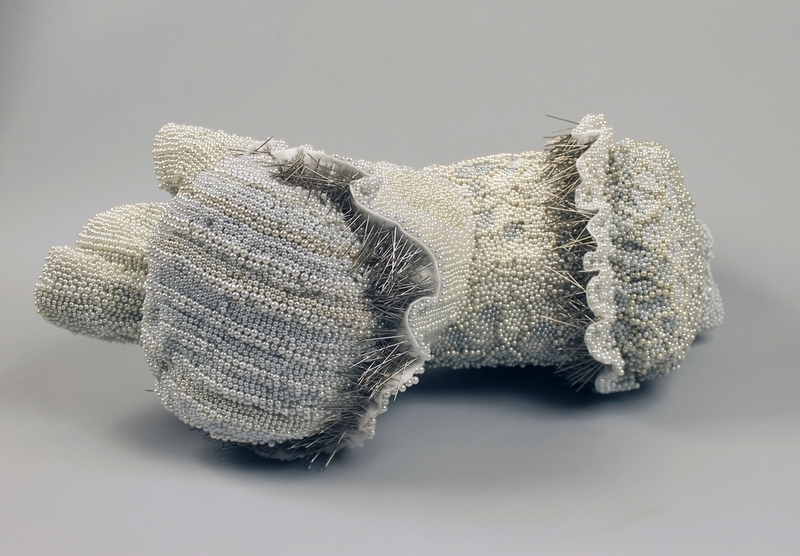 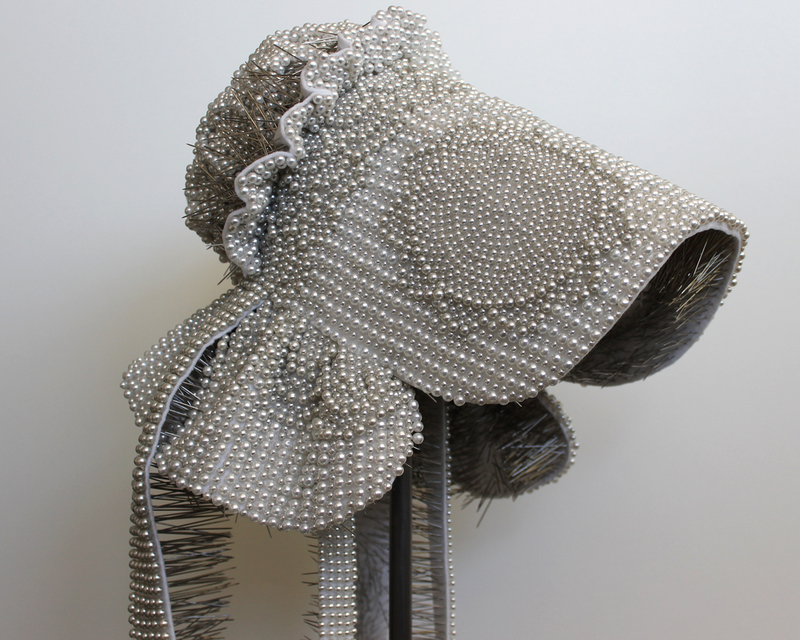 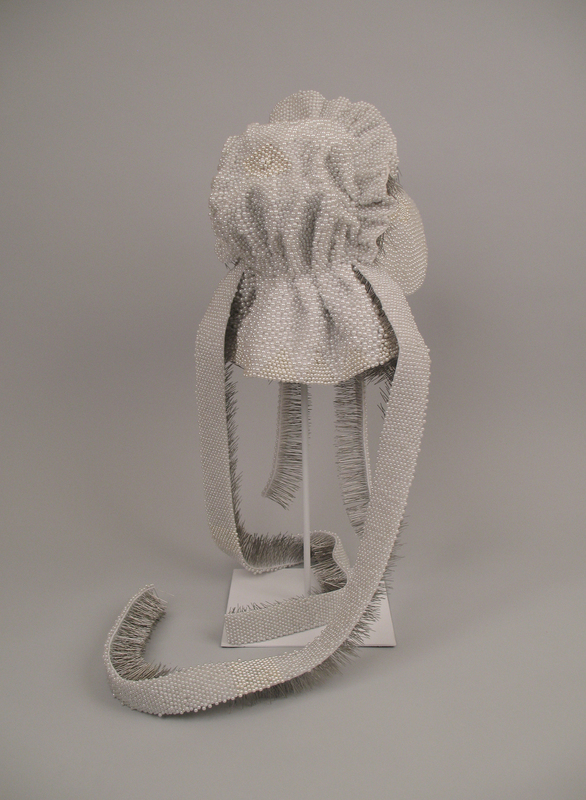 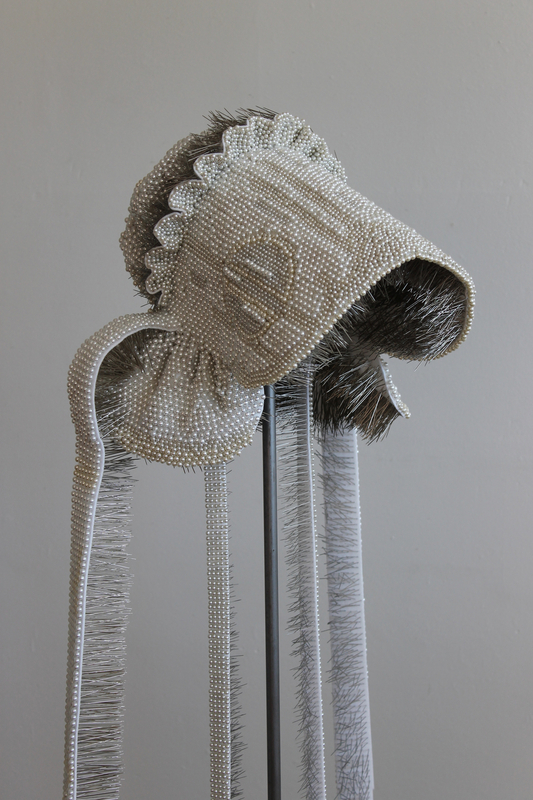 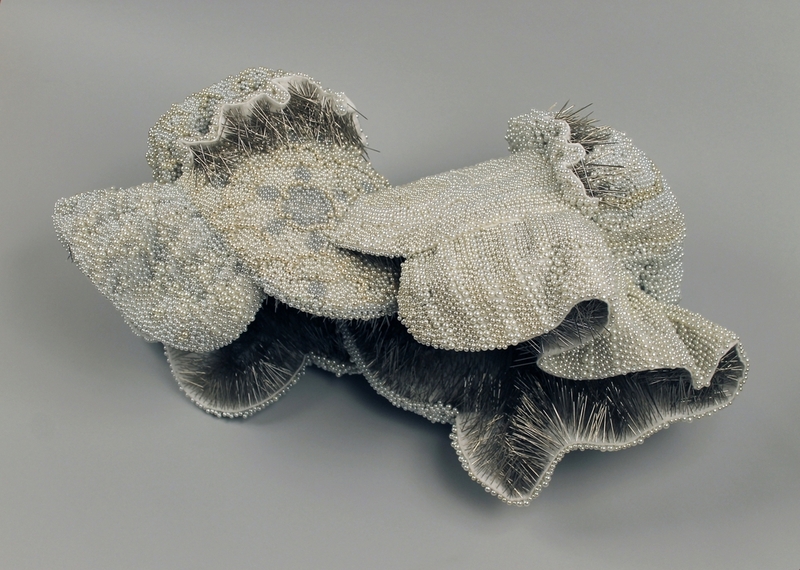 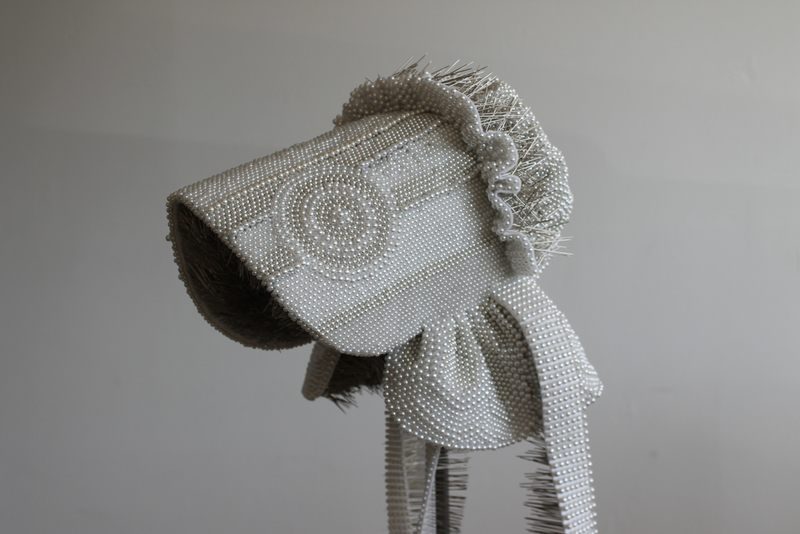 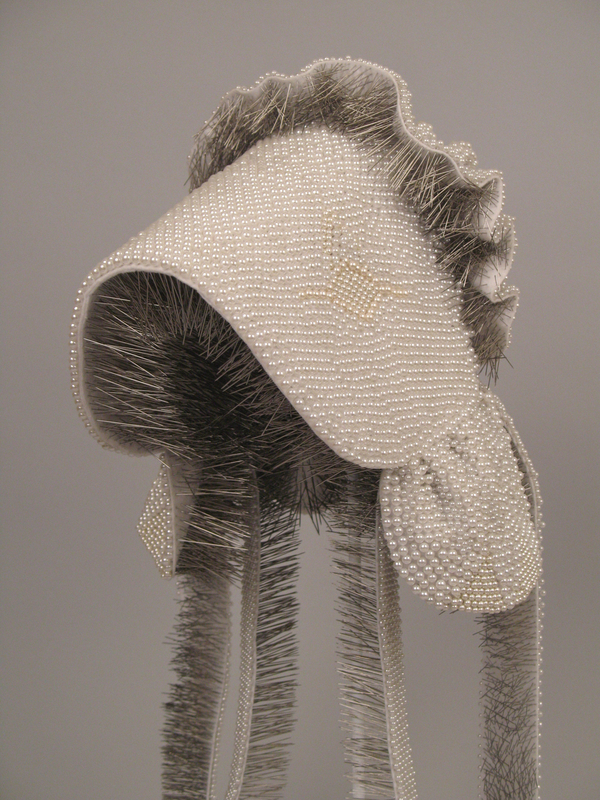 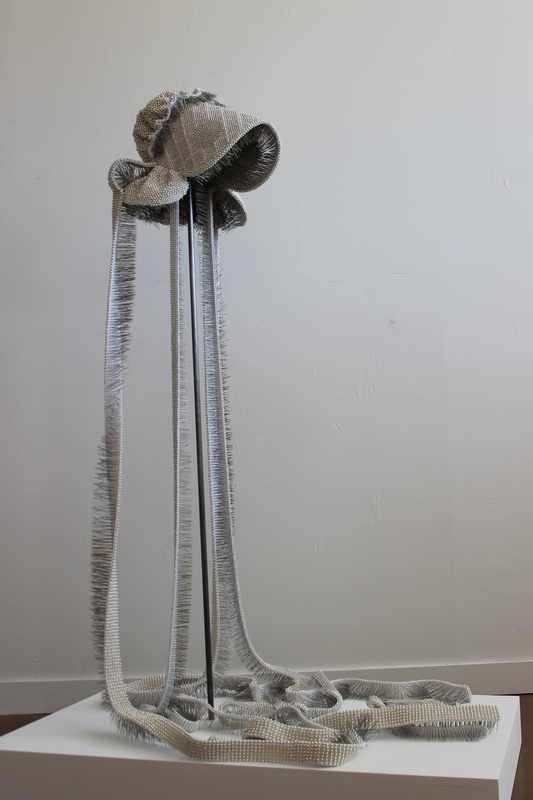 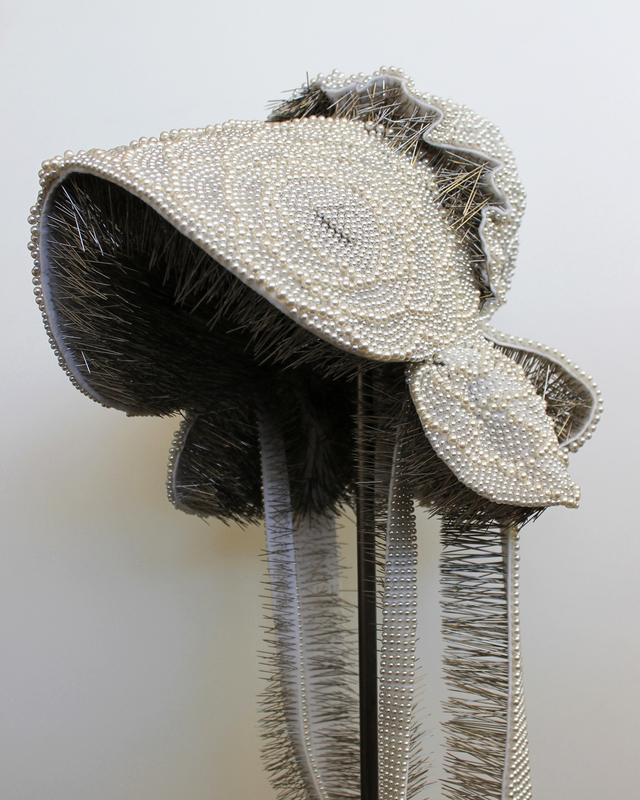 Seer Bonnets are an ongoing series of sculptural pioneer bonnets covered in thousands of steel, pearl-tipped corsage pins that create subtle patterns on the exteriors and sharp, rugged interiors. 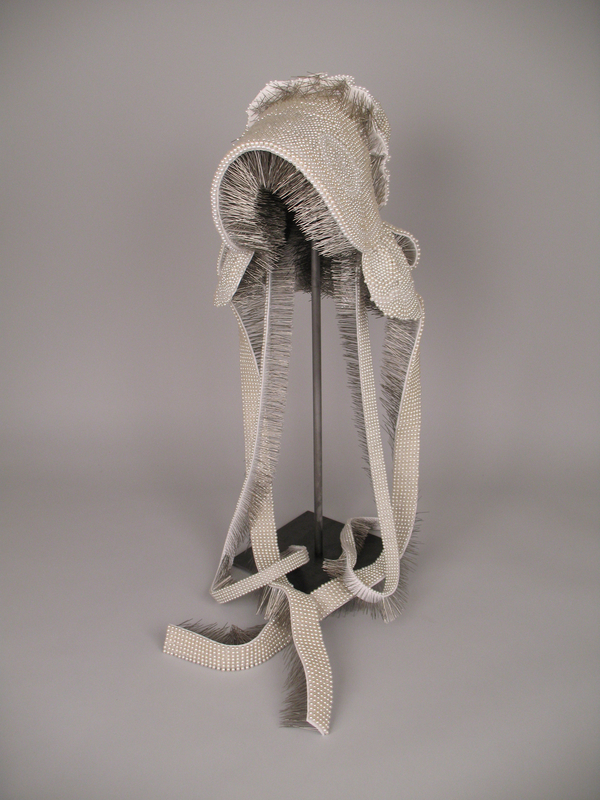 Standing in for the estimated thirty-five wives of Joseph Smith, the bonnets become the “tools of translation” which allow these resilient wives to see messages and translate them into visions. 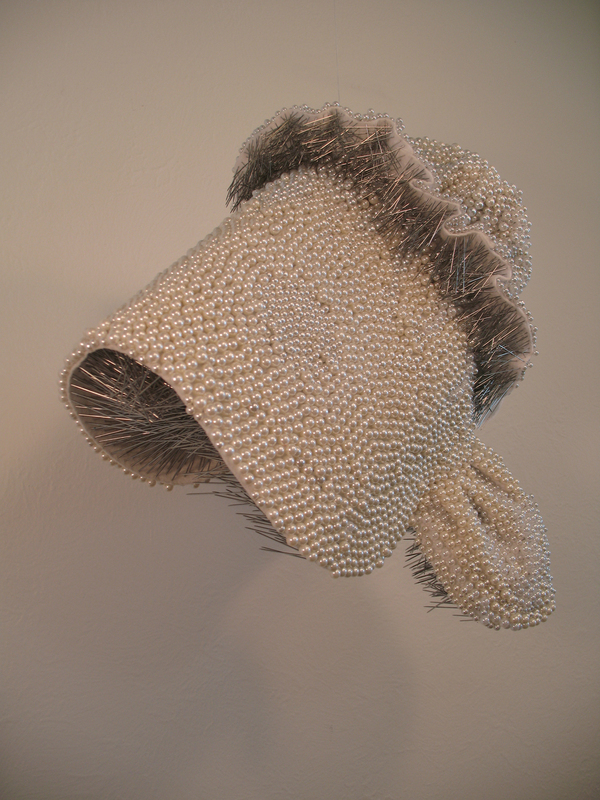 This is a nod to the tools Smith used to translate the Book of Mormon. 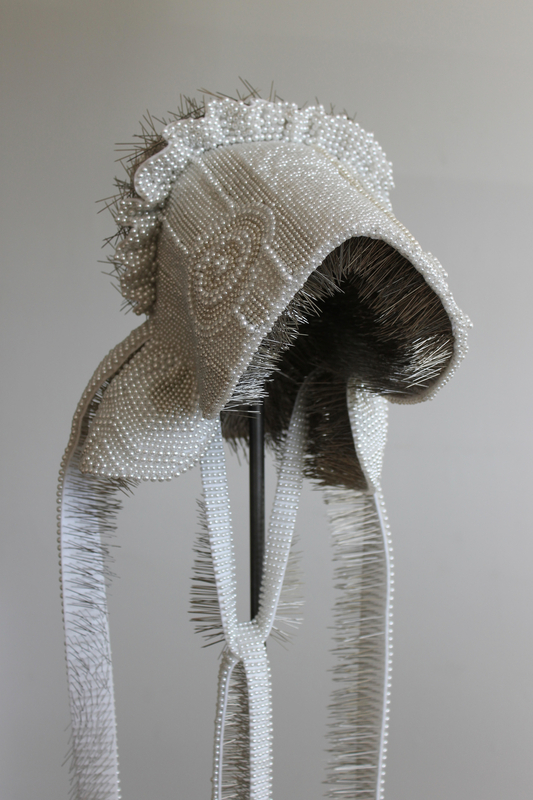 Ellsworth re-imagine this community of women with their own visionary and revelatory powers, as they pioneer new personal histories.